The net price calculator is a guide for early financial planning for college. It can provide a preliminary estimate of federal and institutional aid eligibility. Create Federal Student Aid ID#’s for student and at least one parent if dependent online. FSA ID’s are needed to sign the FAFSA. FAFSA available beginning October 1, 2018. List the schools you would like to receive your information. 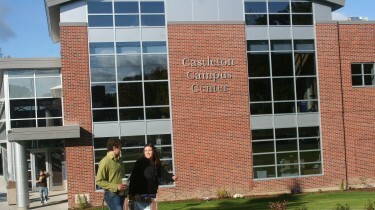 Castleton University school code is 003683. Castleton plans to begin awarding newly accepted students mid-late November 2018. For transfer students who have already completed a 2019-2020 FAFSA remember to log back into your FAFSA and add Castleton’s school code. Castleton plans to begin awarding returning students mid-February 2019. FAFSA available beginning October 1, 2017. Castleton plans to begin awarding newly accepted students mid-late November 2017. For transfer students who have already completed a 2018-2019 FAFSA remember to log back into your FAFSA and add Castleton’s school code. Castleton plans to begin awarding returning students mid-February 2018. The mission of Castleton’s Financial Aid Office is to provide excellent customer service and professional knowledge in assisting students and their families with information on financial aid resources available to meet their educational goals and to award financial aid in a fair, equitable and timely manner while maintaining full compliance with all federal and state regulations and college policies. The financial aid program at Castleton primarily consists of federal funds (grants, loans, and work-study). Approximately 80% of Castleton’s undergraduate students receive some form of financial aid (scholarships, federal grants, loans and work-study). March 31, 2020 - Last day for Castleton Financial Aid Office to receive valid FAFSA information for the 2019-2020 academic year. April 30, 2020 - All financial aid must be finalized. If a student’s financial aid file is still incomplete we will assume that the student is no longer interested in receiving financial aid for the 2019-2020 academic year. March 31, 2019 - Last day for Castleton Financial Aid Office to receive valid FAFSA information for the 2018-2019 academic year. April 30, 2019 - All financial aid must be finalized. If a student’s financial aid file is still incomplete we will assume that the student is no longer interested in receiving financial aid for the 2018-2019 academic year. Visits are the most valuable way to learn about Castleton and see if our community is one you will love.